What specific conditions, both internal and external, are necessary for these failure conditions to occur? Are those conditions evident in the reported cases? What physical or electronic evidence does the failure produce? What are the expected ranges in severity? Could the failure have any effect on other interfaces, such as braking system? NASA detailed analysis and testing did not find evidence that malfunctions in electronic throttle control caused large unintended accelerations, as described by some consumer reports. NASA found a way that the electronic throttle control can fail, that combined with driver input, can cause the throttle to jump to 15o open, but consumer reports of this condition is very low and it leaves evidence of occurrence. NASA found ways that the electronic throttle control can fail that results in small throttle openings up to 5o. For a copy of the presentation NASA gave to the NAS panel, click here (Download NASA support to NHTSA - NAS outbrief 03 03 11). On March 30th, U.S. Transportation Secretary Ray LaHood two major investigations designed to answer questions surrounding the issue of unintended vehicle acceleration. The National Academy of Sciences (NAS) will examine the broad subject of unintended acceleration and electronic vehicle controls across the entire automotive industry. Separately, NHTSA, has enlisted NASA engineers with expertise in areas such as computer controlled electronic systems, electromagnetic interference and software integrity to help tackle the issue of unintended vehicle acceleration in Toyotas. The National Academy of Sciences’ National Research Council will examine the broad subject of unintended acceleration and electronic vehicle controls across the entire industry over the course of 15 months. This will not be limited to Toyota, but will cover all manufacturers. A panel of experts will review industry and government efforts to identify possible sources of unintended acceleration, including electronic vehicle controls, human error, mechanical failure and interference with accelerator systems. The experts will look at software, computer hardware design, electromagnetic compatibility and electromagnetic interference. The panel will make recommendations to NHTSA on how its rulemaking, research and defect investigation activities may help ensure the safety of electronic control systems in motor vehicles. According to the announcement, the NHTSA review of the electronic throttle control systems in Toyotas is to be completed by late summer. NHTSA has brought in NASA engineers and other experts in subjects such as electromagnetic compatibility as part of a shorter-term review of the systems used in Toyota vehicles to determine whether they contain any possible flaws that would warrant a defect investigation. NASA’s expertise in electronics, hardware, software, hazard analysis and complex problem solving ensures this review will be comprehensive. Currently there are nine experts from NASA assisting NHTSA, and additional personnel will join the team if needed. 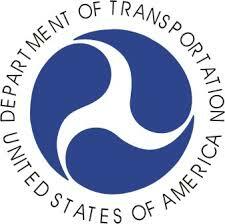 Both studies – from the NAS and from NHTSA – will be peer reviewed by scientific experts. The total cost of the two studies is expected to come to approximately $3 million, including the cost of purchasing cars that have allegedly experienced unintended acceleration to be studied. Secretary LaHood has also asked the U.S. DOT Inspector General to assess whether the NHTSA Office of Defects Investigation conducted an adequate review of complaints of alleged unintended acceleration reported to NHTSA from 2002 to the present. The IG will also determine whether ODI had the appropriate number of personnel and staff expertise to assess and address the technical issues raised by the complaints and whether the data was sufficient to identify specific defects that caused unintended acceleration. That information will help DOT officials determine whether more resources are necessary for pursuing defect investigations.